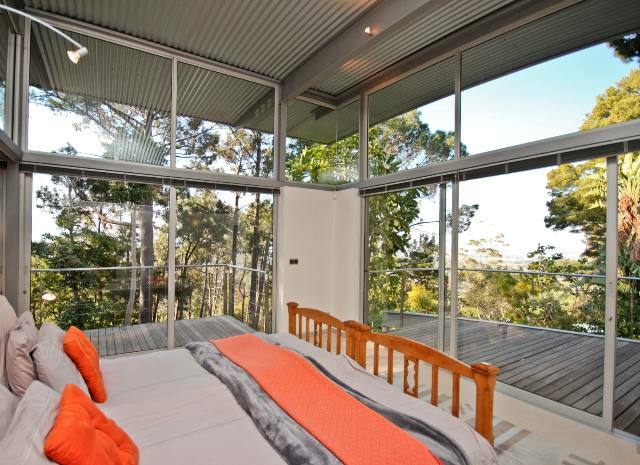 Set amongst the treetops, with unimpeded views of forest, mountain and distant sea this house is perched at the top of a 4114m² plot. 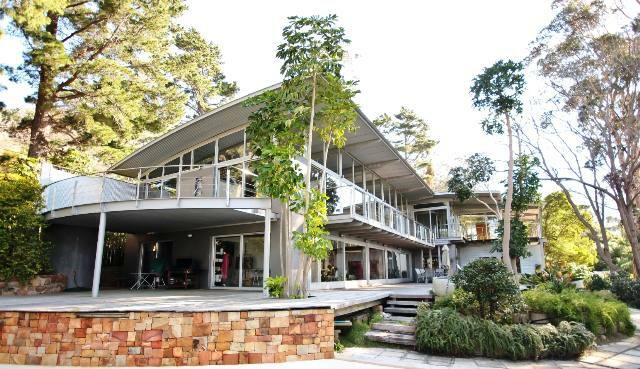 Influenced by the work of Australian architect Glenn Murcutt, the owner translated it to the South African vernacular and its unique setting at the top of Zwaanswyk. The arching steel roof, just visible from the road gives no hint of the extraordinary expansive glass and steel structure it shelters. 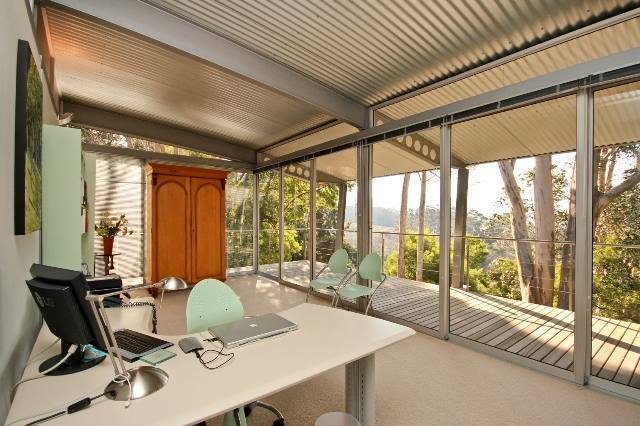 Comprising two levels of carefully chosen materials – glass, stone, rosewood, polished travertine, steel and corrugated iron, you have beautifully considered living areas opening up to the epic surrounds. Your every comfort and lifestyle requirement has been catered to from the three Morsø stoves, Gaggenau kitchen appliances, a home cinema, gym with sauna and steam shower, artist’s studio to his and hers studies. Currently configured to offer three bedrooms, there is scope to increase to five. The main bedroom has a luxuriously large bathroom and walk in dressing room, a private lounge and direct access to the gym below. 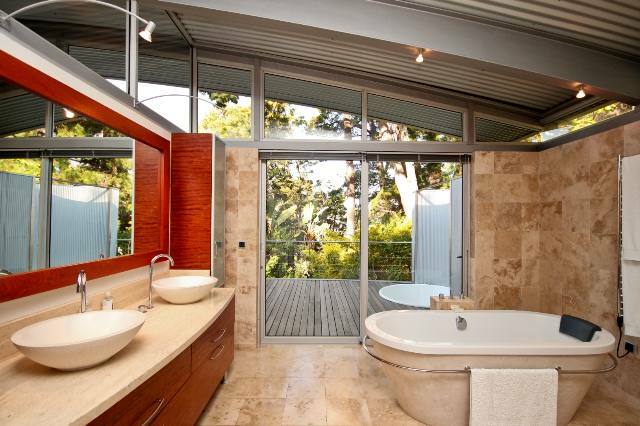 A further two bedrooms span the upper level, sharing a full family bathroom. 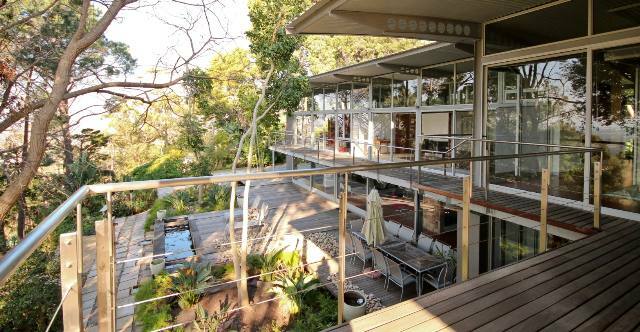 Come and view this spectacular home and be inspired by the montage of views, natural light and beauty. Full details here.